Just like most of the ladies, I'm also fascinated on how these ladies manage to wear different hair colors (I love the pastels and unicorn versions) and how fun it would be in photographs! A. Cost - though there are some salon who that offers not too steep services, still I can't let go the fact that I can't spend on hair-coloring... rather I'll spend it on new haircut, or shampooing/conditioning/etc. but no to coloring. B. The Maintenance - everything that need maintenance (including our hair) cost additional expenses on money and time of course. Well, not that I can't afford both -- but I can't afford to spend it just on maintaining my new hair color. I'm so a thrifty-diva. C. I'm in-looovvvvee with my natural hair-color. Mine is black, and I like to maintain it that way. Though sometimes mothers' are so conservative about hair-coloring like "Ohh don't color your hair, it will be that start to get it damage" or "if you color your hair, your hair will gets dry, and you will gain more white hairs." Well, sadly but true (based on my experience). I'm already in my 30s and my hair is still very healthy, and grows faster than others, and I haven't got any single white hairs yet. 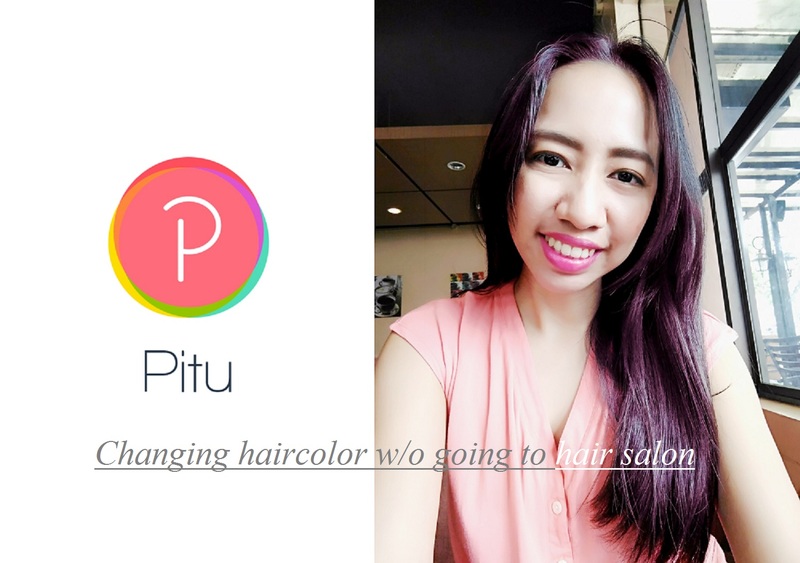 Sometimes, yes, being a little conservative with my hair gains a lot of advantage, hahaha..
UPDATE September 2016: Latest Pitu logo and dashboard. 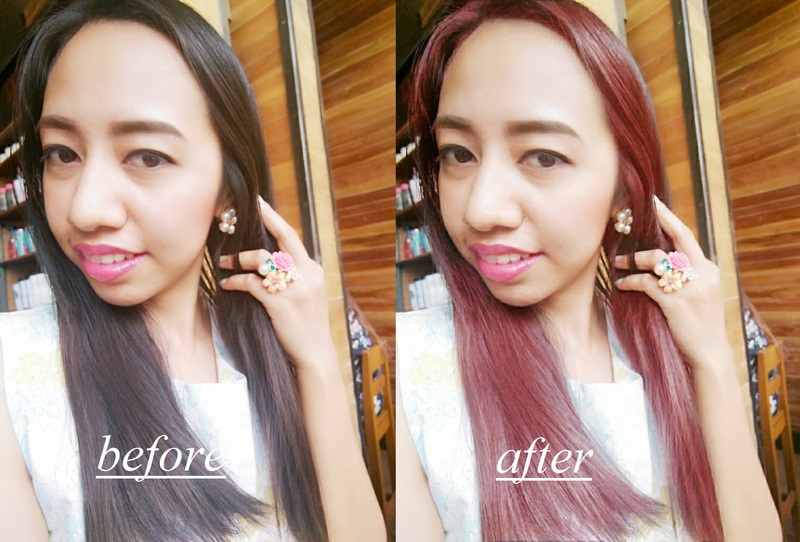 So why not change my hair color using a photo-editing apps? Anyway, everything is digital now! 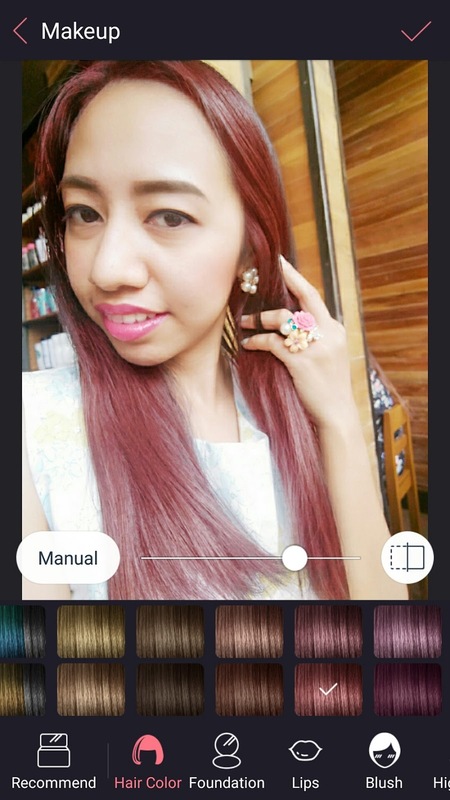 So I've visited some of my favorite Asian bloggers from Malaysia, Hong Kong and Singapore -- where I snoop and stalked their latest style and whatever I fancy with, and I found out about PITU. 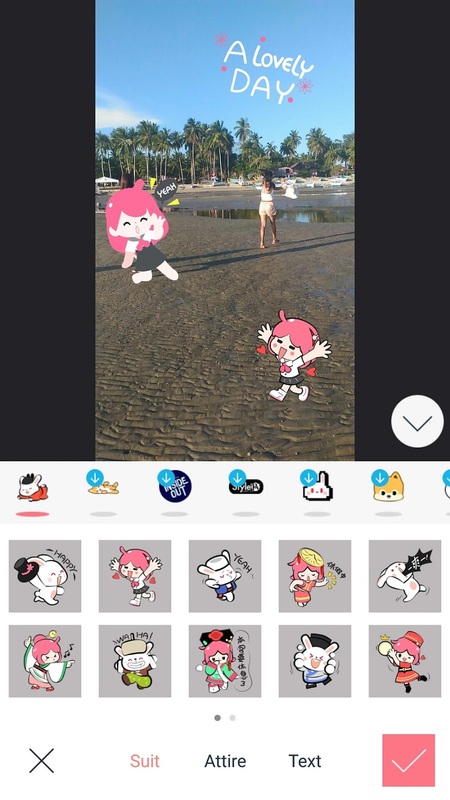 PITU is an photo editing app created by the Tencent Technology (Shenzhen ) Company Ltd. with headquarter based in Shenzhen, China (they are also the creator for Wechat). I found out that Bongqiuqiu is using this app so I didn't hesitate to download it for FREE, available via iTunes and Google Play. 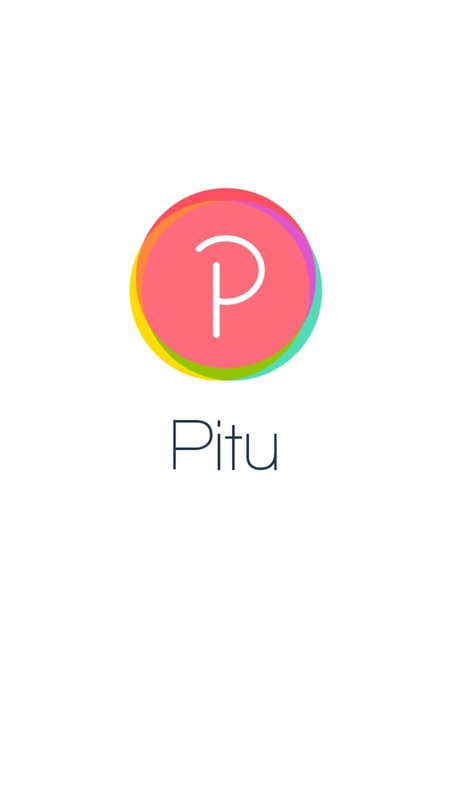 So what are the features of PITU? Dozens of quality effects and frames makes your photos stunning in an instant. Professional filter, various of blur, auto flash, mosaic, star lights, etc. One-tap Cosplay Chinese Empress Wuzetian, Vampire, Panda, black swan, etc. Bunch of free poster templates, backgrounds and frames. 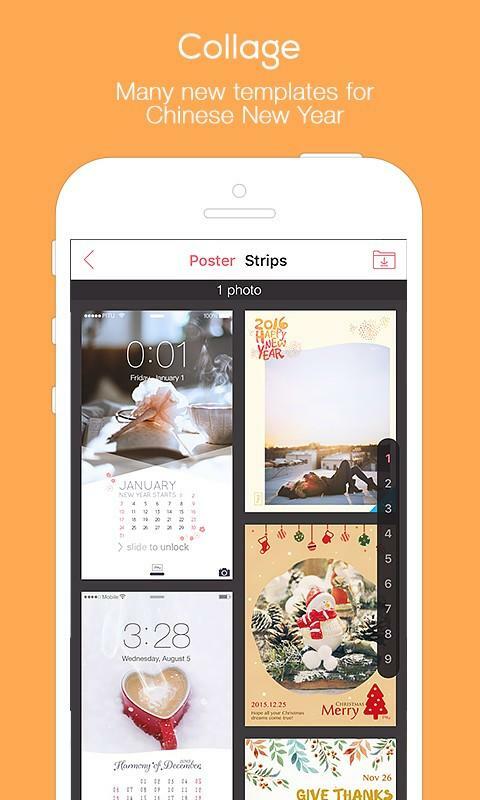 Easy and fun collage modes make you a professional photographer. 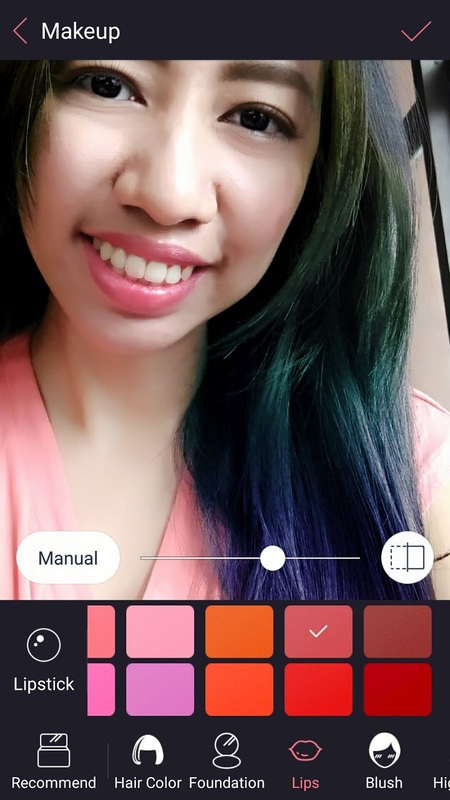 Pitu as they called a one-tap make-over app really helps me to be fancier for my photos and blogs. It helps me to make my dull photos to be more fun and exciting to my sight, hehehe. Above is my original photo... 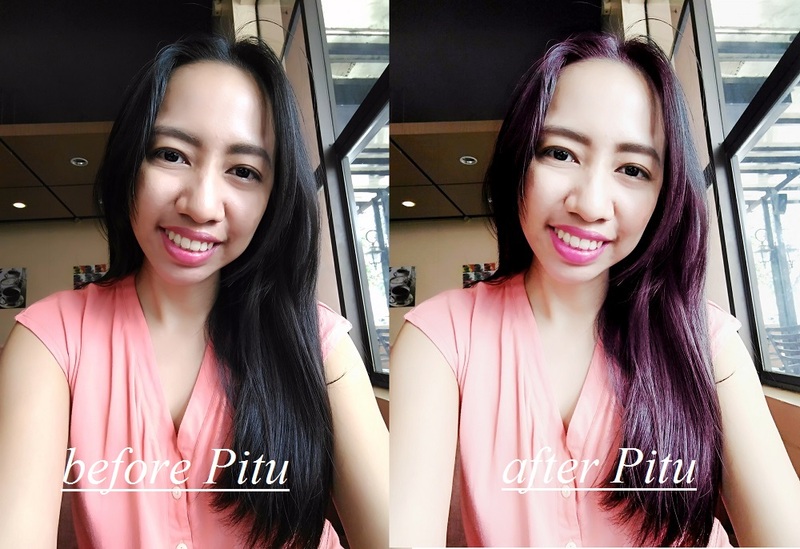 I will color my hair into a unicorn style using Pitu. After tapping the Makeup Menu, you will be directing to this section wherein you can choose which part you would like to edit. 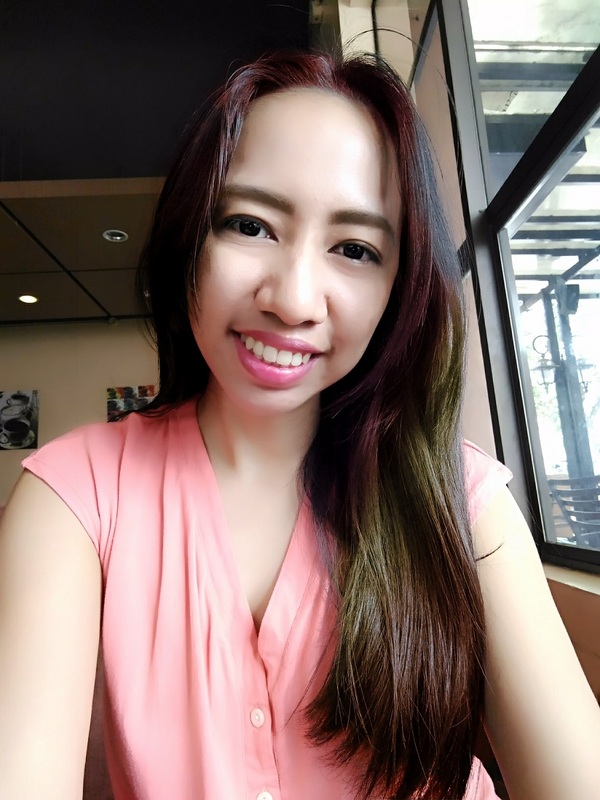 So for now, I would like to change my hair color into something fancier. You may choose to 35 different hair colors available! This is really good guide especially if you are deciding which hair color suits you, before hitting the hair salon. 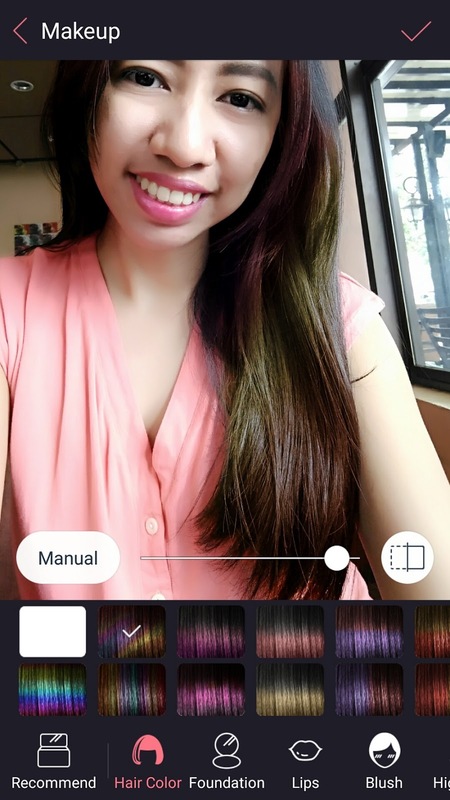 You can manually adjust the brightness of your desired hair color and just tap the check icon on the right-side corner, when you are done. 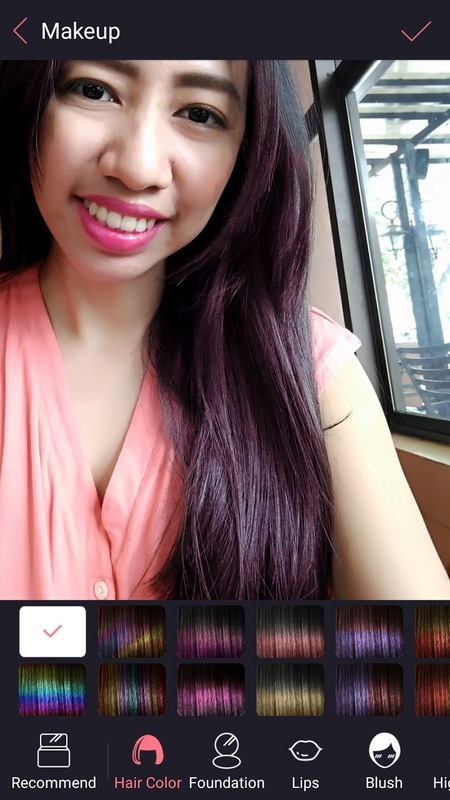 So I changed my hair color into plum, and use a white filter to lighten the whole image. What do you think of this color? Does it suits me? 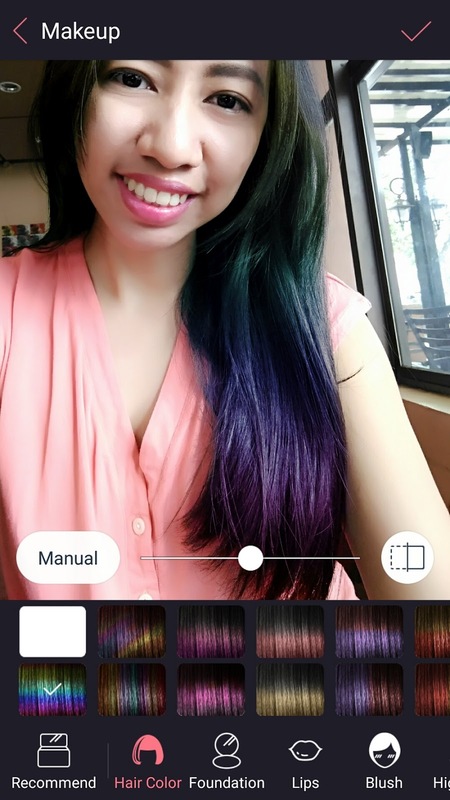 Then I tried this gradient unicorn-style hair..
Voila! I look sooo chio!!! 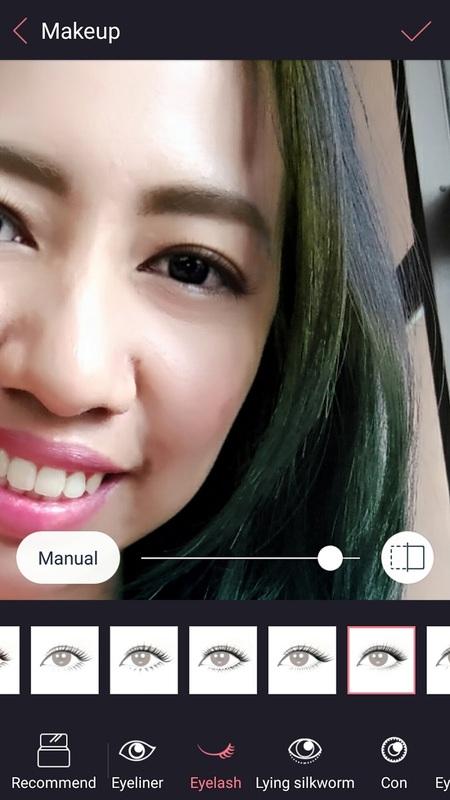 If you are worried that you don’t have decent photos and you can’t have a decent selfies coz your face is bare naked, then Pitu is on the rescue! 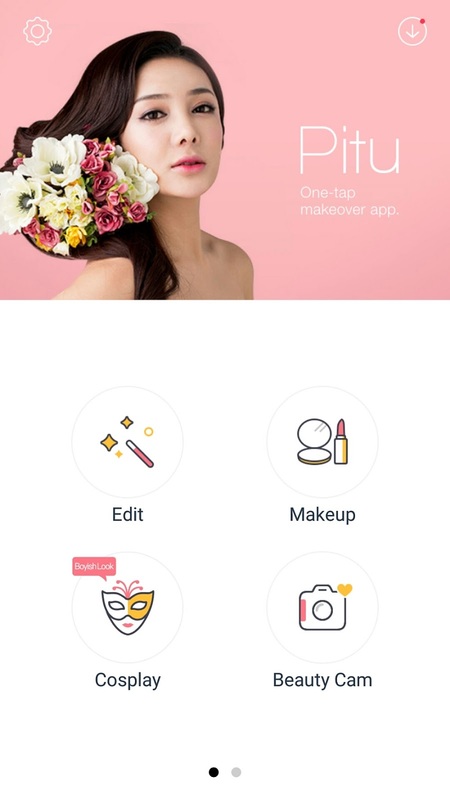 Pitu features these beauty makeup lie in a whole-package. You can groom your eyebrows instantly, wear your desire eyelashes, put some blushes and eyeshadow, etc. You can choose from 16 different eyebrow shapes! 16 different eyelashes styles and shapes! 9 different shades of foundations! 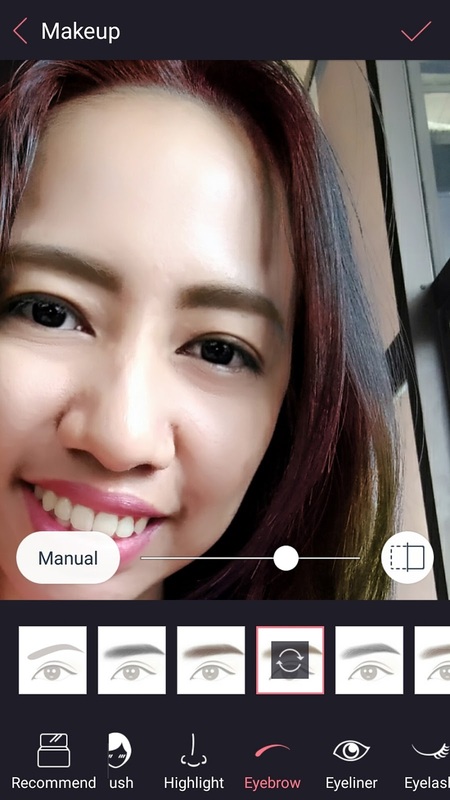 … and if you don’t have an eyelid, Pitu gives you 6 different eyelid styles! Okay this Pitu makes more interesting and I tell you this is fantastic! You can also make your selfies oil-free, makes your teeth more white and brighter, removes dark circles, makes your eye more bright and twinkly, make your chinita eyes look bigger, removes your acne and dark spots (I know right), makes your face smoother, and you can also slim your face without undergoing the expensive RF therapy! Hahahaha I call it a Pitu-treatment! Whoot whoot! 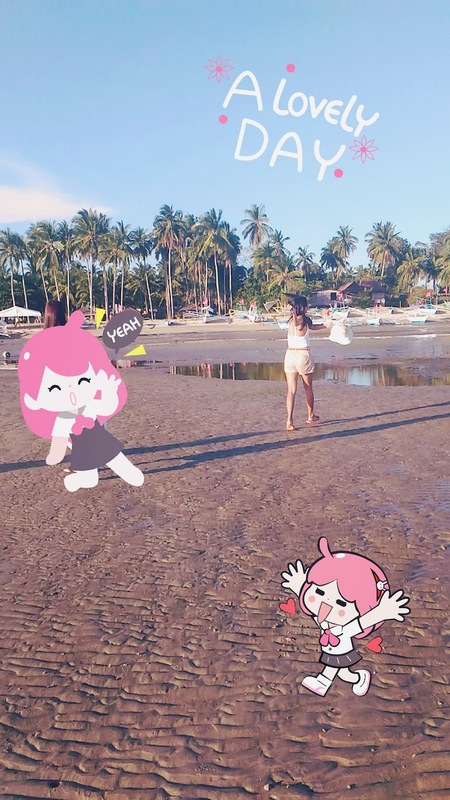 If you are a type of gal who looovvveeess stickers, then Pitu gives you lots of cute stickers, all free to download. 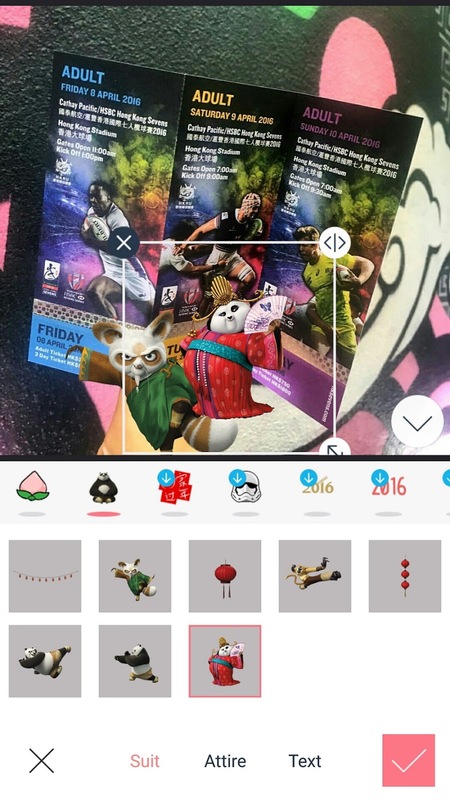 Here is my latest Kung Fu Panda 3 stickers..
I’m quite unsatisfied with this photo, so add a pinkish filter on it. 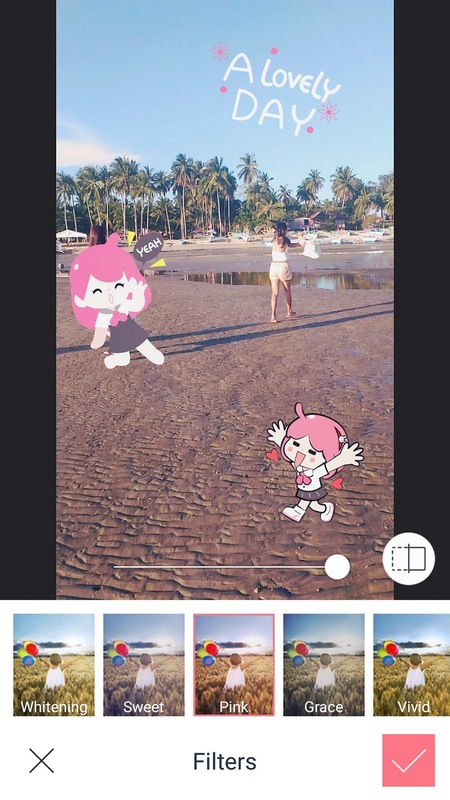 Overall, I’m rating this app as 5-stars because it is very easy to use, with lots of available freebies, and haven’t got any problem tweaking my unpleasant photos with it, hahaha.